When we meet and speak with a little child we will often bend down or crouch down or get down on our knees – and with a baby we will even lie down flat on the floor. We do this in order to place ourselves at their level, to meet them where they are. We tend to think of kneeling or prostrating ourselves before God as being an act of submission and respect to the One who is immeasurably greater than we are – and this is right, of course. But perhaps there is also a sense in which we are bringing ourselves down to God’s level; to the level of the One who has chosen to make himself small, who revealed himself as a helpless baby, and who even as a fully grown man constrained the fullness of his divinity within the limits of humanity. Just as the Magi bowed down to worship the infant Jesus, so must we. When God makes himself small, we have little choice but to make ourselves smaller still. 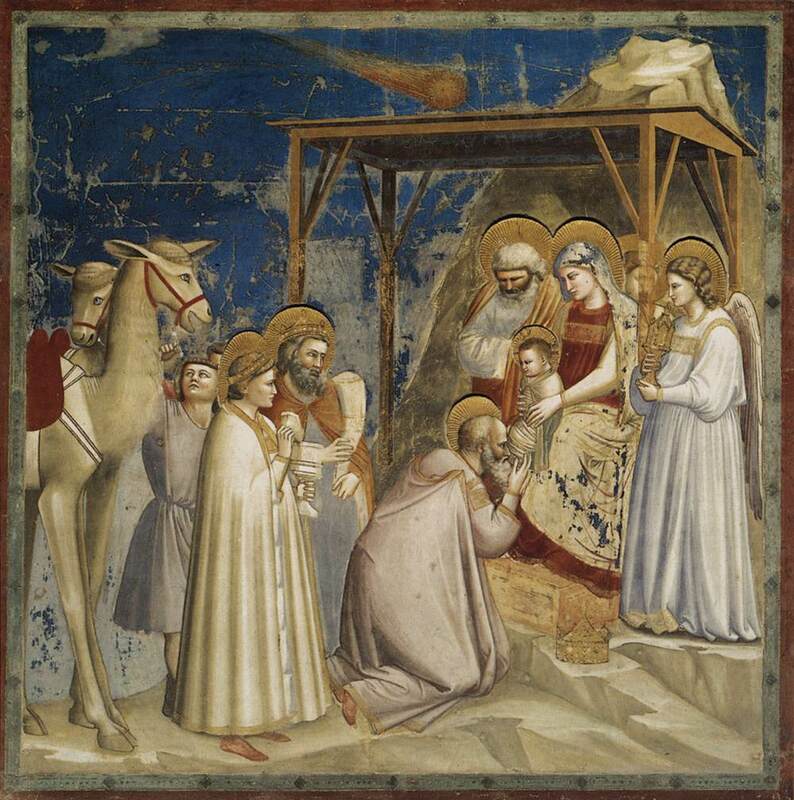 Image of Adoration of the Magi (1304-06) by Giotto available via WikiPaintings.